We’ve been impressed lately with how every thin TV we’ve tested has managed to produce impressive, well-rounded sound. But this large-bodied Panasonic fits in two sets of 10W speakers which provide another jump in performance – bass frequencies are that bit more punchy and everything else is a bit crisper and more rounded. We suspect that people paying this much for a TV will at least buy a sound bar to go with it, but there’s really no rush with this unit. 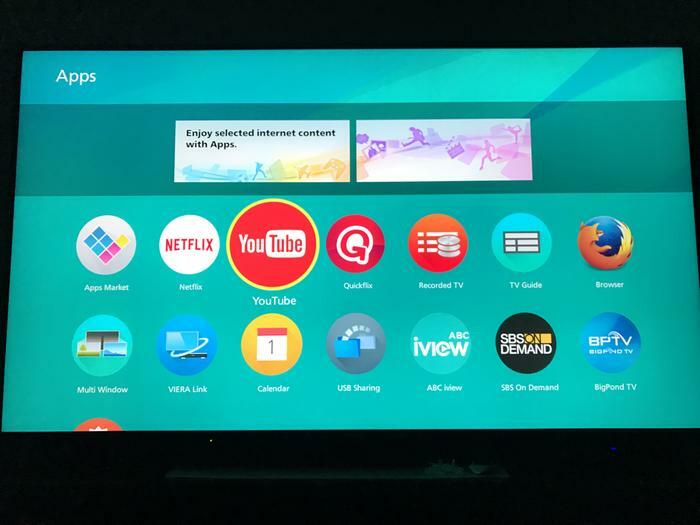 Panasonic uses Firefox OS to power its Smart tv features. It’s fast and generally simple to use but there aren’t as many apps as we’ve seen with Android or WebOS. Few will complain as most key apps are present. Panasonic also allows you to set up quick access to apps, inputs and features with various customisable shortcuts that will please people who regularly change content source. The apps via Firefox OS. Samsung provides two remotes and they’re probably the most useful combination we’ve seen. 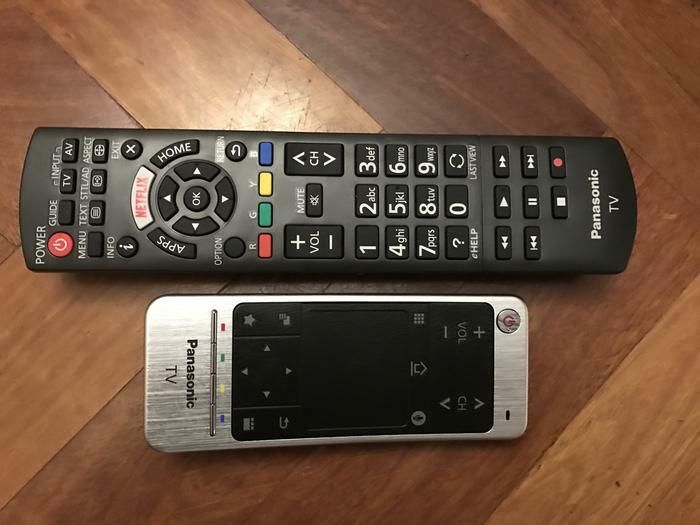 The first is the standard, large-buttoned remote. There are a few hard-to-decipher buttons present but generally the important functions are all easy to find. There’s also a touch-pad remote which uses a thick, textured, rubber surface which offers a good amount of sensitivity and accuracy. Gestures access some functions quicker but generally, swiping around is a breeze. The big-buttoned remote and tough, rubber, touch-pad remote combine to offer great navigation. The usual complement of connectors is included – four HDMI ports, optical, USB 3 etc. However, whenever we tried to access our USB 3 hard disk to playback content, the whole TV crashed and restarted (and we learned it had fans inside it – like the old days). You can’t hear the fans normally - they just whoosh when the TV starts up from cold – but history tells us that you’ll need to clean the dust out of the vents at the top periodically to avoid the fans getting clogged up and the TV overheating. We’re talking once every couple of years here. Nonetheless, we couldn’t get any USB devices to be recognized after this happened. A full complement of connections is catered for. 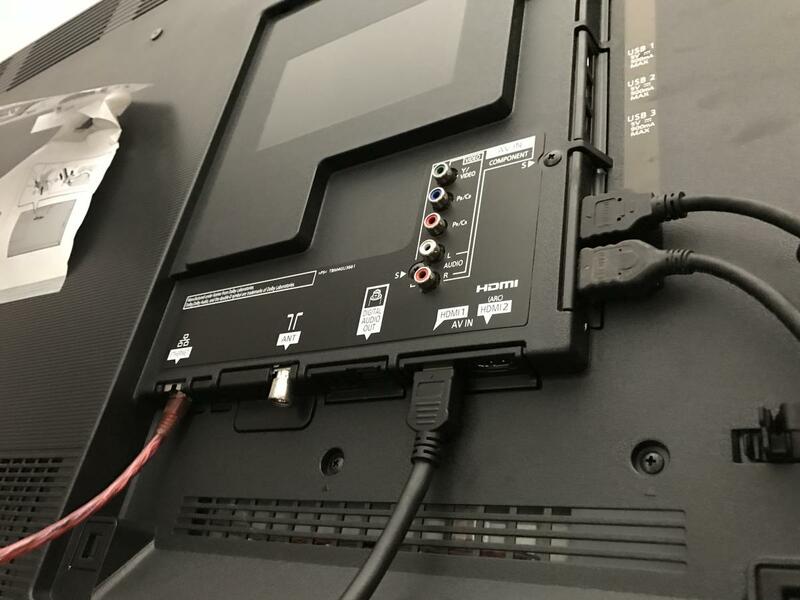 Another potential issue is compatibility with set-top boxes. A quick Google search shows that Panasonic has a history with this – we could not get sound playing from our Foxtel iQ3. As much as we want to believe this was a conscious rebellion on the part of the TV, a great deal of trouble-shooting hasn’t yet found a fix. We’re working with Panasonic to find one and will update this review should that happen. But for now there seems to be an bug present.